Hiroshige, A Comparison of the Ogura One Hundred Poets, 63, Michimasa. 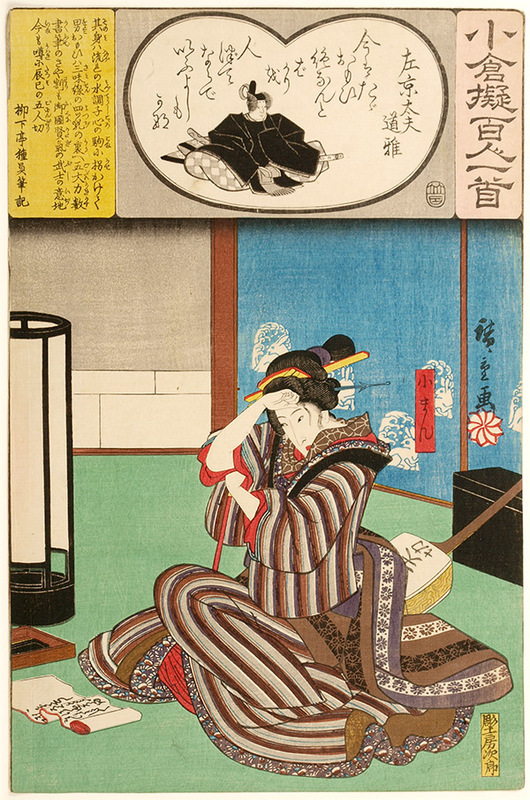 Utagawa Hiroshige (1797-1858) A Comparison of the Ogura One Hundred Poets, Number 63: Michimasa, 1847. Oban. A fine print from the first edition, trimmed to the image with strong colour, good impression and visible woodgrain in the background. The print is illustrated in Herwig & Mostow, The One Hundred Poets Compared, Hotei Publishing 2007.